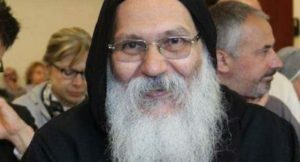 Egyptian authorities are conducting investigations to fish out suspects behind the death of Bishop Epiphanius, the Coptic spiritual leader at Anba Makar Monastery near Wadi el-Natroun in coastal Beheira province, northwest of Cairo. Bishop Epiphanius was found dead on Sunday in Anba Makar monastery. His head was smashed open while his back bore some injuries, some Egyptian security officials who requested not to be named told the media. The authors of the mysterious killing are still unknown. However, it is likely that authorities will finger-point the Islamic State group (ISIS), which has staged several attacks on the Christian minority in urban places including in capital Cairo and mainly in the restive Sinai province. Over 100 people were killed in a series of attacks since December 2016. The Christians represent 10 per cent of the Egyptian population. They became soft targets for the terror group, which accuses them of colliding with President Fattah al-Sisi in his crackdown down on Islamists namely members of the Muslim Brotherhood. Written by: Jaber Ali on July 31, 2018. Posted by Jaber Ali on Jul 31 2018. Filed under Headlines, World News. You can follow any responses to this entry through the RSS 2.0. Both comments and pings are currently closed.